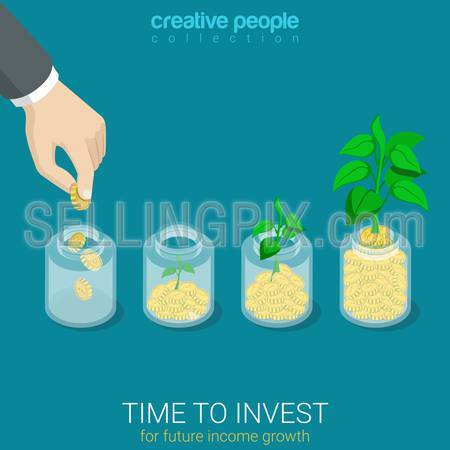 Flat 3d isometric style time to invest grow business start up concept web infographics vector illustration. Big hand throw coin into jar growing sprout. Creative people website conceptual collection.